Happy Monday, ladies. Let’s kickstart the week with another installment of business advice. 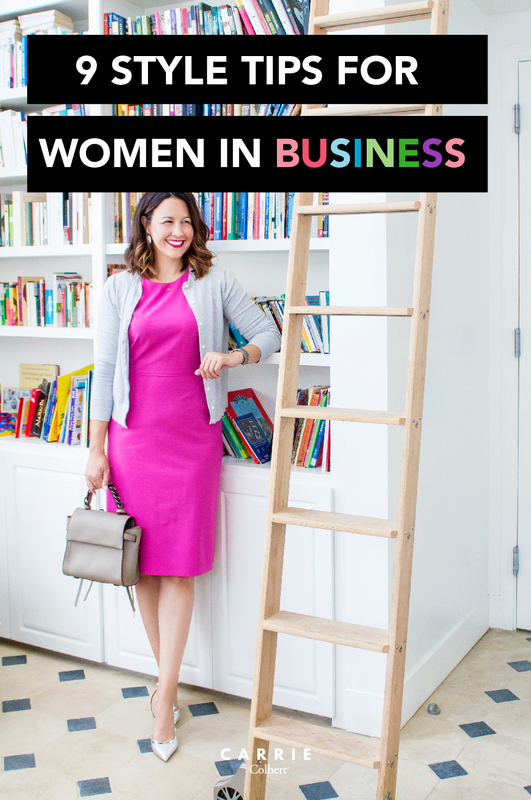 First, let’s make sure you’re all caught up on the other two recent business articles: (1) 6 Biggest Mistakes Women Make in Business, and (2) 7 Ways to Develop Confidence in Business. 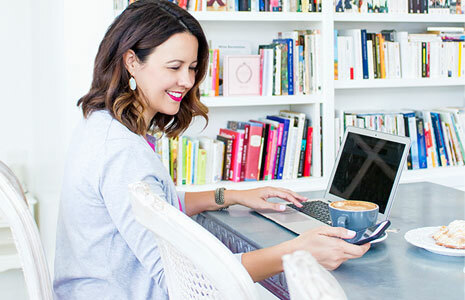 Today, we are diving into an issue that is critical for women in business. The “what to wear to work” dilemma is one many of us business women face. How we handle this will impact how others view us. Well, do you agree or disagree with me on this subject? I certainly have rather strong opinions on this, but it comes from years of seeing women unfortunately undermine themselves professionally by presenting themselves in a less than professional manner, stylishly speaking. So, as I mentioned, think of your outward aesthetic as an extension of your personal brand. Make the mark you want to leave when you come into contact with someone. Do you have any other tips or guidelines to share? We’d love to hear. Until next time, have a colorful day! This post really resonated with me as I’ve been in the corporate world for 20 years. I agree with everything you wrote. It would be great if you posted a few outfits of work wear. Hi Sheri – I’m so glad you liked it! Thanks so much for reading and chiming in. You bet. I am going to try to share more work appropriate outfits. You caught the one posted this week, right? Agree 100%! Especially about open toed shoes and cleavage! Great article! Thanks for chiming in, Erin. Not sure quite how to say it, but seeing toes at the office is just way too informal – and kind of gross, to be honest. Totally agree about the toes in the office (although I have been guilty of this in the past) but I am trying very hard to not fall into that this summer. Thanks for saying that, Lee! We appreciate you stopping by. Help, I need a good cobbler in Houston. I’ve not been thrilled with the care to my heels from the HSH in Allen Center. Any recommendations? Hi Marsha – thank you for saying that! I appreciate you stopping by and reading. You know, I had the same experience with HSH in Allen Center when I worked downtown. I’ve had much better luck with the shoe hospital on Kirby. I like how you said that business women should invest in quality, staple pieces for their outfits. I think that it’s so important, especially in the workplace, to make a good impression on your clients and your managers. My friend just started a business, and is trying to figure out in which types of outfits she ought to invest. I’ll have to recommend that she find a women’s clothing retailer in her area that can offer quality, staple pieces for her to look and feel confident in the workplace. Absolutely! That’s a great idea. Finding a good tailor is key too. I would really thank you for the tips you have shared across the fellow readers who love fashion I will surely share this with my friend’s people are nowadays so fashion conscious they really wanted to look different from others thanks for the informative article. Thank you so much for sharing. I Really like your fashion sense. Keep Updating and Keep Sharing. You bet! I’m happy to help. Send me an email — hello-at-carriecolbert.com — and I’ll send you some recommendations! I really like you said to dress for the job you want, not the job you have. I would love to get a promotion and I think that improving my appearance could help me set me apart. I will have to go buy some new blouses and bottoms to up my look. Thanks for the tip. Hi Joy! Best wishes on the promotion. Please let me know if I can help you in upping your wardrobe game. I’m happy to help! This is helpful thank u. My sister was just promoted and she wants to wear nice clothes to work. It was suggested here that she should invest in quality, staple pieces and think of quality over quantity. Furthermore, it’s recommended to go to trusted women’s boutique for quality clothes. I like your tip about balancing statement pieces when looking to create a professional outfit. I think that buying the right clothing is a great form of self-expression for both men and women. My wife wants to reinvent her wardrobe, so I’ll be sure to help her find a clothes store in our area that has a wide selection of items. That’s awesome, Sam! Let me know if I can help at all. Thank you for sharing such a good article about women and tips on women’s style in work clothes. Combining colors is important to know which one suits you better and you would know which color also to match perfectly. My wife just got a job in a high executive position, and she is currently looking for a new wardrobe for the occasion. Thanks for the mention that open-toed shoes can be a little off-putting. As my wife looks for new clothes, I will let her know about what types of shoes she should look into. I really appreciate your tip to find a tailor since the fit is really important. My wife has been thinking of getting some new clothes since she has an important job interview coming up and she wants to make a good impression. I will be sure to tell my wife that we should find her a tailor first! I liked that you pointed out that you should try to think about color. Also, I liked what you said about color psychology. It does seem like the color of the clothing will affect how you look. Indeed it does! Thanks for commenting. I like the tip that you gave to choose high quality clothing when you go shopping. My wife and I have been talking about finding new clothes for our business trip that we might go on, and it would be important for us to know that we are making the right choice in clothing. If we choose to go on the trip, I will be sure to look for quality clothing.